Of recent, there has been a series of ministerial meetings with Ministers from the joint APNU/AFC where they urge the public to reach with them so they can work to a solution together. Over the years, since gaining power, this ruling party has only succeeded in disappointing a majority of the population in Guyana amidst the accusations of corruption, bullyism and lack of vision for development. Now that General Election is somewhere close, we are seeing various attempts to regain the public’s confidence and regardless of what is being said about the main opposition, they seem more favourable in comparison. Under the previous Administration, many were benefiting from the little gestures that were extended by the PPP/C, especially school children (vouchers) and the pensioners. Immediately after taking power, these gestures were cruelly ripped away with promises for betterment. Instead, we saw an increase in almost everything in Guyana including tolls. Added to that, there was a massive downsize across Guyana from various companies after they were being targeted for victimisation and closure of estates with unfulfilled promises to the workers. Without a doubt, we are experiencing tremendous hardship and are only hearing about the promises of oil while they continue to go about talking about working to a solution when they themselves destroy the little hope that Guyanese were living on. Editor, I am still looking for the job creation that was promised, I am not looking at those that were given to close comrades or families from within the parties, but what was promised to benefit Guyanese across the country. Go around the country, you will see various changes of staff at most Government places and should you interact with them, you will observe a serious attitude problem. Many people are complaining and no action is being taken to remedy this. Under the previous Administration, you could have visited any hospital and be able to get some if not all the prescribed drugs. Regardless of what is being said, that was there, you could have gone to the hospital pharmacy night or day, even weekends and get your prescription. That tells me that things were looking good. Under this present Administration, the pharmacy only works Monday-Friday between 08:00h to 16:00h and presently, there isn’t any medication available. The doctors and nurses inform you that there’s a shortage and that you can purchase them at a pharmacy. In order for the pharmacy to operate day and night under the PPP/C Administration, you had to get more staff to work the shifts, under this Administration, they were laid off because they were not required after this Administration disabled that. I guess people only get sick between 8-4 in the day during the week. So much for having this country’s interest at heart but it doesn’t end there. Guyanese are still benefiting under the free eye care that was introduced by the PPP/C but that too, like many other systems that were in place, seems to be slowly deteriorating. To conduct certain eye tests, patients have to travel to Port Mourant, bearing their own travelling expense whilst under the previous Administration, travelling expenses were taken care of. The hurtful thing about this is that you have people travelling from Bartica, Pomeroon etc, to Port Mourant, only to be given another date to come back all because time ran out. I cannot understand why they can’t only make appointments with the amount of people they are able to look at per day. Is it because it’s a free service that you’re providing that makes you have to treat people like that or is it the vision that you have cannot address this issue? 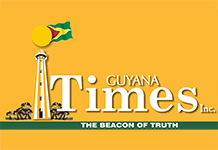 Editor, we all wanted to be able to live comfortably in Guyana, thus some were entrusted with the responsibility to ensure that mechanisms are in place but when it’s not, they should be criticised and they must be able to remedy the situation. This was not happening under the previous Administration, thus the public’s trust diminished. Instead, now, you are being labelled because you talk against. Within the ruling Administration, there are many who are seeing wrongs being committed and are afraid to talk because of the fear of victimisation. Regardless of who, people must be free to express their minds and share their opinions freely. I thought we all wanted change for betterment, but incidentally, it’s worse.